John Langridge was born in the fishing village of Whitstable, on the north Kent coast in 1954. He went fishing for the first time at the age of four, with his father for eels and crabs in Whitstable harbour. After studying English Literature as a mature student at Canterbury and then at Brasenose College, Oxford, John left the UK and took up residence in Valladolid, heart of Old Castile in Spain. He has been teaching English here for the last twenty years. A talented multilingual writer, John has written books in both Spanish and English. His book Lizarralde was originally written in Spanish and he later translated it into English for the Medlar Press edition. It tells the tale of a Spanish barbel angler as he tries to come to terms with his experience of the civil war. In Aphrodite’s Carp, John sets out to unravel the legends, debunk the myths and provide everything you ever needed to know about the carp. Following on from this epic book on the carp, John wrote a similarly comprehensive book on catfish, which like the carp book, covers an immense amount of material in the most fascinating way - The Complete Book of the Giant Catfish (2009). He has also written three How to Catch Them books - one a translation of the Gilthead Sea Bream book originally written by Francisco Suay, one on Catfish, and one on Sharks. His most recent book, As I Cast Out is a travel fishing book set in Spain. John is also a regular contributor to Waterlog. 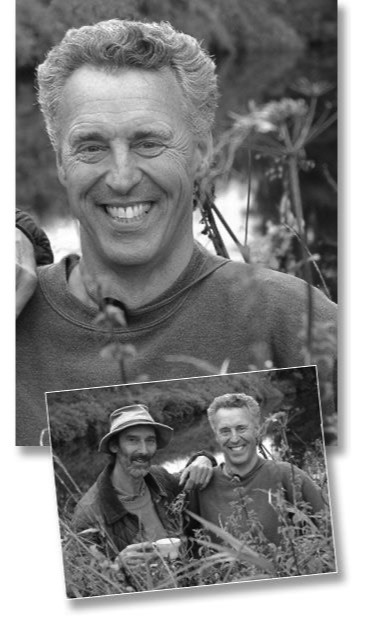 In Spain, John has featured in several TV documentaries, about adventure travel as well as angling, including one about fishing for tench with antique tackle. An all-rounder, John has fished all over the world for many different species of fish and his only form of private transport is a bicycle.